In email marketing, breaking through the noise has never been more challenging. More than 280 billion emails are sent each day. That number is projected to skyrocket to 333 billion by 2022. And even if you spend hours crafting the perfect email, all that effort may go unnoticed because roughly 20% of all emails never actually make it to the intended recipient. Wondering what's the best way to avoid falling victim to the dreaded spam folder? Try zeroing in on your reputation. Though much is made of the content of an email or its design (rightfully so), sender reputation holds plenty of power over where an email ends up. The stronger your reputation, the better the chance your email will reach its expected destination. A broad range of factors contributes to sender reputation. Here, we'll explore a few steps you can take to enhance your brand's reputation—and, ultimately, improve email deliverability. There's a fine line between keeping customers in the loop about your products or promotions and bombarding them with emails all day, every day. The top reason US consumers unsubscribe from a marketing list is that they receive too many emails. Cross that line, and you could begin speaking to a much smaller audience. Ensure the growth of your brand's audience by paying just as much attention to the frequency of your emails as you do to the content of those emails. Just because you've personalized each communication doesn't mean you have a green light to send three or four emails per day. And if a customer hasn't engaged with your brand for more than a few months, it may be a good idea to dial down the number of emails you're sending. 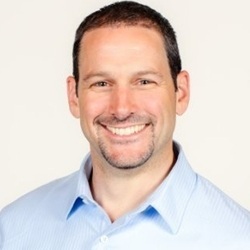 Spencer Kollas is vice-president of global deliverability services at Cheetah Digital, an enterprise cross-channel marketing software company. He is responsible for the product development and innovation road map of Cheetah Digital's email deliverability services in 30+ countries.